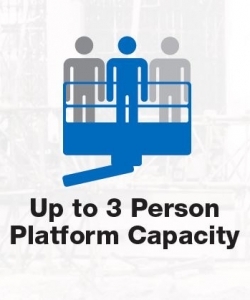 Workplatform supply new access platforms from Genie, the world’s leading manufacturer of lifting equipment. In our view, Genie Lifts offer the best product range, highest quality and lowest overall cost of ownership. Lead times are often less than you would imagine and for urgent requirements we also have a large stock of used lifting equipment, ready for despatch. As Authorised Genie dealers, we carry the full range of powered access equipment including cherry pickers or boom lifts (articulating and telescopic), scissor lifts and mast booms. 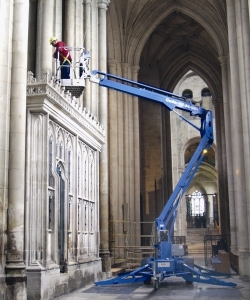 We can supply a full range of elevating equipment for high level access. We are also able to offer flexible finance and leasing options backed by the manufacturer, please see details here or call us to discuss your options. Annual service contracts and extended warranties are available on all new machines. See more information here. 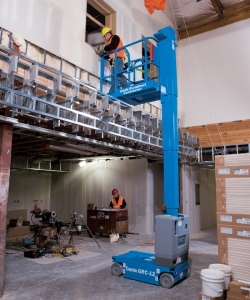 Correct use of powered access equipment is essential to ensure the safety of your employees and also to get the best performance from your new machine. Find out more about on-site operator training. 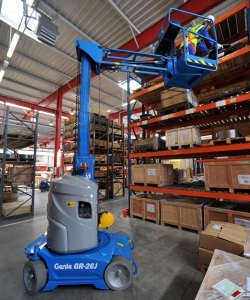 Call 01332 856359 for advice about purchasing or leasing new Genie access equipment. Compact, lightweight aerial work platforms, with easy, one person set up. Genie AWP and IWP models. The new product range from Genie called Xtra Capacity™. Creating extra productivity for teams to spend more time working and less time reloading with sufficient room for tools and materials. Cherry Pickers with a range of working heights, electric, bi-energy and diesel powered Boom Lifts. 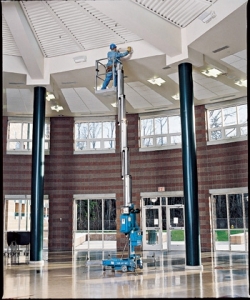 Telescopic booms offer greater horizontal outreach than any other type of access platform, ideal for use in small or awkward spaces. 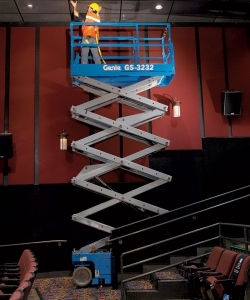 Scissor lifts offer unmatched performance and versatility. Electric models are low noise, whilst diesel / bi-energy models are suitable for use on rough terrain. Genie trailer mounted Z-booms feature the unique Genie automatic levelling system for self-levelling on slopes up to 11 degrees, on any type of terrain. 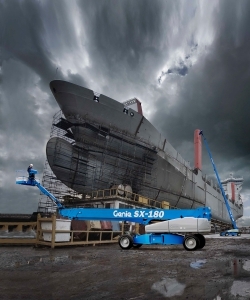 Genie vertical mast booms include a jib providing 140° range of motion. 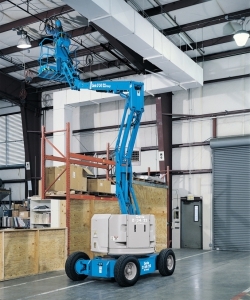 Driveable at full height and provide superior outreach in confined spaces. Compact, low weight, vertical mast lifts with zero inside turning radius. Ultra narrow lifts and models suitable for use on construction sites. 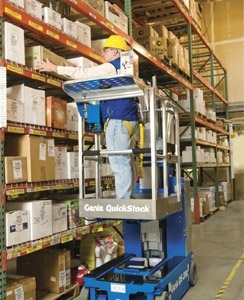 Compact vertical mast lifts, low weight and ideal for inventory picking and warehouse management.